The Atkins Diet, also known as the Atkins Nutritional Approach, is a low-carbohydrate diet promoted by Dr Robert Coleman Atkins (October 17, 1930 – April 17, 2003), an American physician and cardiologist. The diet was inspired by a research article (entitled "Weight Reduction" and published by Alfred W. Pennington in 1958) that Dr Atkins read in The Journal of the American Medical Association. The diet is based around the idea of limiting consumption of carbohydrates. The is intended to switch the body's metabolism from metabolizing glucose (glycolysis) to metabolizing stored body fat (ketosis). In his earlier writings, Dr Atkins also controversially claimed that low carbohydrate diets provide a metabolic advantage leading to weight loss because "burning fat takes more calories so you expend more calories", however subsequent studies and writings, suggest that weight loss with low carbohydrate diets is more likely to be due to boredom from the monotony of the diet, and/or the longer digestion period for fats and proteins means a delayed onset to hunger. The Atkins Diet achieved its peak popularity in 2003 and 2004, when approximately 1 in 11 adults in North America claimed to be on a low-carbohydrate diet such as the Atkins Diet. Dr Atkins himself diet as a result of a fall on ice in 2003, and the popularity of the diet began to dip from the second half of 2004. Nevertheless, although not as popular as it once was, the Atkins Diet is still around, and the Atkins Nutritional company continues to operate. The Atkins Diet has not been without controversy - some members of the scientific community have raised quesitons about its efficacy and safety. Additionally, the evidence showing that the Atkins diet is effective in helping people achieving short-term weight loss is somewhat thing - although one review did show that the Atkins diet did lead to 0.1% to 2.9% more weight loss over one year than that achieved by a control group who received behavioural counselling. Atkins is about eating delicious and healthy food -- a variety of protein, leafy greens and other vegetables, nuts, fruits, and whole grains. Perfect for busy lifestyles: you can stick with Atkins at work, at home, on vacation, when you're eating out -- wherever you are. But Atkins is more than just a diet. This healthy lifestyle focuses on maintenance from Day 1, ensuring that you'll not only take the weight off -- you'll keep it off for good. Featuring inspiring success stories, all-new recipes, and 24 weeks' worth of meal plans, The New Atkins for a New You offers the proven low-carb plan that has worked for millions, now totally updated and even easier than ever. Here is the book that started it all: Dr. Atkinsâ€™ original Diet Revolution. Inside youâ€™ll find the story of how Dr. Atkins personally discovered the incredible effects of a high-protein/low-carbohydrate diet and how it came to revolutionize his thinking on nutrition and health. Here is proof of how the diet works, why youâ€™ll never feel hungry again, and how you can get started. Imagine eating such foods as steak, eggs, butterâ€”even baconâ€”and still losing weight! Now with this simple but incredibly effective diet, you can stop counting calories and measuring portions. Whatâ€™s more, youâ€™ll feel healthier than you ever have before! â€¢ Plus sample meals, mouthwatering recipes, answers to the most commonly asked questions, weight charts, and much more! In this breakthrough book, Dr. Atkins explains why we donâ€™t need just another diet. We need a diet revolution. Now you too can join the millions of others who have become part of this revolution to lose weight, feel great, and reduce their risk of serious illness. The #1 New York Times bestseller featuring the Atkins Nutritional Approachâ„¢â€” a celebrity-favorite diet perfect for losing weight before your wedding or to bounce back into shape post-baby, or if you just want to look and feel your bestâ€”includes delicious new menus and simple recipes, a free carb counter, and new tips for weight loss. Millions of people have already discovered how to get healthy, lose weight, and keep it offâ€”and now you can too! The Atkins Nutritional Approachâ„¢ is the proven weight loss program that enables you to enjoy the foods you love on the road to good health, increased energy, and a greater sense of well-being. Atkins Diet Plan 2019: The New Losing Weight With Atkins Diet For A Beginnerâ€™s Guide and Step by step Simpler Way to Lose Weight. Lose 20 pounds in three weeks without cravings or hunger! If you are looking for some easy and delicious recipes for your weight lose Journey. The Ultimate Atkins Dietâ€™s Recipe Cookbook for Beginnerâ€™s: The new Losing Weight with Atkins Diet for a Beginnerâ€™s Guide step by step And Simpler Way to Lose Weight. Atkins is more than just a dietâ€”itâ€™s a healthy lifestyle that focuses on weight management from day one, enjoy it. Atkins diet and be the best possible guide you can have for starting it. Learn and enjoy recipes from this book, Get ready to take your Health to the Next Level and Scroll Up and Click the Buy Now Button! Atkins simplifiedâ€”a faster, easier, and more effective plan for healthy, low-carb eating that helps you to start losing weight immediately (and keep it off forever). The new Atkins is more effective than ever, itâ€™s backed by decades of scientific research, and itâ€™s sustainable for a lifetime. If youâ€™re done with diets that leave you hungry and are looking for a healthy, delicious way of eating that leads to enhanced health, The New Atkins Made Easy is the program for you. Turn to the Week 1 shopping list on page 66, pick up some tasty foods at the grocery store, and start losing weightâ€”today. Atkins Diet Cookbook #2019 book will show you exactly what you need to do in order to follow the diet correctly, giving you all the information you could possibly need to ensure a smooth and easy journey to your weight loss goal. Enjoy the benefits of a lower-carb lifestyle on your own termsâ€”including a better keto diet: This is AtkinsÂ® your way. For more than forty years, Atkins has used proven scientific research to help millions achieve weight-loss goals and improve their health by controlling carbohydrate consumption. Dr. Atkins actually introduced the concept of â€œketosisâ€� to the general public in 1972 in his first book, Dr. Atkinsâ€™ Diet Revolution. 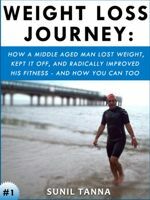 With this book, you too can live a low-carb and low-sugar lifestyle thatâ€™s as flexible as it is inspiring. A BETTER KETO DIET AND SO MUCH MORE: This all-new Atkins guidebook focuses on eating rightâ€”not lessâ€”for painless weight management and better overall health. Choose the program that works for you: Atkinsâ€™ classic approach (Atkins 20Â®), a better keto diet (Atkins 40Â®), or small changes that lead to big results (Atkins 100â„¢). Plus, learn about the Hidden Sugar Effect and how to avoid it, and read real-life tips for creating a low-carb kitchen and for setting achievable goals. Youâ€™ll see how easy it is to eat rightâ€”not lessâ€”to reach your weight-management goals and achieve optimal health. DELICIOUS: Youâ€™ll be amazed that low-carb food can be this fresh and tasty! Atkins is more than just a dietâ€”itâ€™s a healthy lifestyle that focuses on weight management from day one, ensuring that once you take the weight off, youâ€™ll keep it off for good. And The New Atkins for a New You Cookbook features recipes with a broad range of carb counts, providing the perfect plan for a lifetime of healthy eating. Lose 15 pounds in two weeks without cravings or hunger! What if we told you that there was a diet out there that wouldnâ€™t leave you feeling hungry, where you could eat most of your favorite foods, and you would still lose a considerable amount of weight? Does this sound like a mirage or a far-fetched dream? Youâ€™re not in the midst of a slumber, itâ€™s a reality! The Atkins diet plan will show you how you can eat until you are totally satisfied, whilst also seeing the numbers on the scales rapidly decline.The Atkins Diet has undergone many changes over the years and it is now easier than ever to follow. This book will show you exactly what you need to do in order to follow the diet correctly, including what you can and canâ€™t eat, how to eat it, when to eat it, as well as giving you all the information you could possibly need to ensure a smooth and easy journey to your weight loss goal. The book â€œLose Your Weight with Atkins Dietâ€� will help you with all this. It will show you how to change your life once and for all. The New Atkins Diet is the program youâ€™ve been looking for.